"LEFTOVER CHICKEN MAKES A NICE MEAL"
Often we have leftover food available in fridge, apparently of no use but that might be of great worth specially when we feel hungry but lazy enough to cook heavy and hectic dishes, at that time leftover food seems to be great blessings. Further to this, this effort will give you more cooking experiences and trying new things, so here is a great recipe to use leftover chicken to entertain yourself and family in easy way. -Beat 4 eggs with red chili powder, pinch salt (to taste) and chopped cilantro. -Bear in mind that you will be making 4 omelettes, respectively, for each egg roll. -Place a non-stick frying pan on medium heat. The diameter of the pan should be the same as your paratha or chapati. 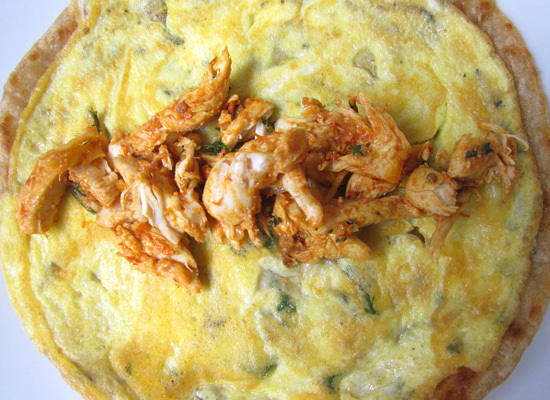 -Add 1 tsp of oil per omelette, to the pan. -Slowly pour in 1/4 of the egg mix and swirl, to cover the pan. 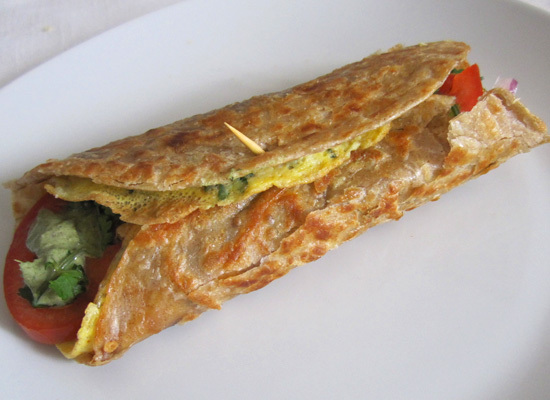 As soon as you see that the bottom of the omelette is set and the top is still soft and custard-like, place the the paratha on top, it will cling to the omelette. -Gently insert a spatula underneath the omelette and flip it over. Let the paratha bronzen a bit, then remove from flame. The omelette will be clinging to the paratha now. 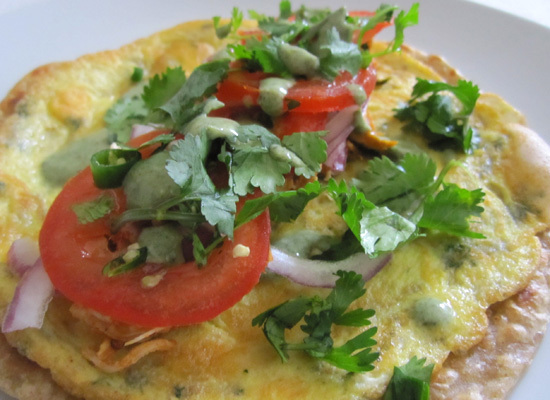 -In a plate, place the paratha with the omelette side up. -Add Shreded-chicken, then dot with some mint chutney. -Add onions, tomatoes, coriander and chopped green chillies. Drizzle some more mint chutney on top. Hi. Receipe looks amazing but wanted to ask if pouring 1/4th of egg mix.. then what about the rest of egg mix?